Here in the Mid East, we enjoyed our first public holiday since late January. And it was a welcome one. 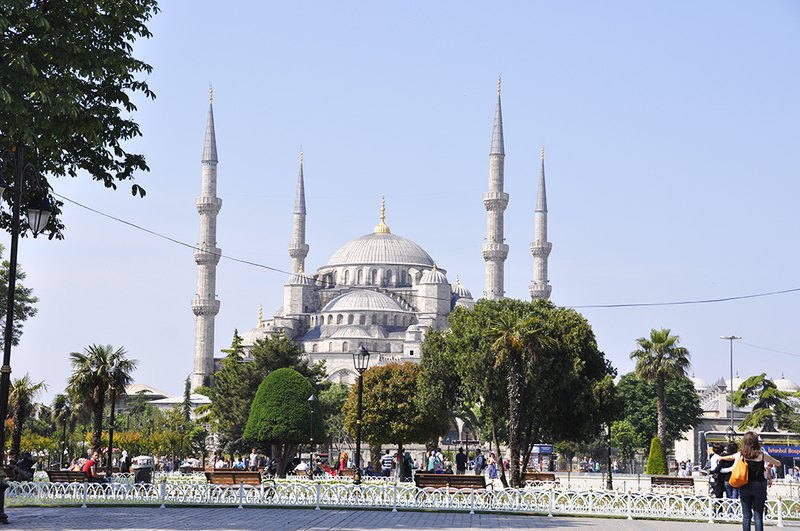 We decided to use the long weekend to head over to Istanbul, a quick 3.5 – 4 hour flight away. As luck would have it, less than a week before our arrival the Gezi Park protests broke out in Taksim Square. While we never considered canceling the trip due to this, it did cause a few changes: an electronic music festival we were planning to attend got canceled, and I swapped one hotel stay in Besiktas that I thought could possibly be in a problematic location for an alternative one in Beyoglu’s Galata neighborhood. 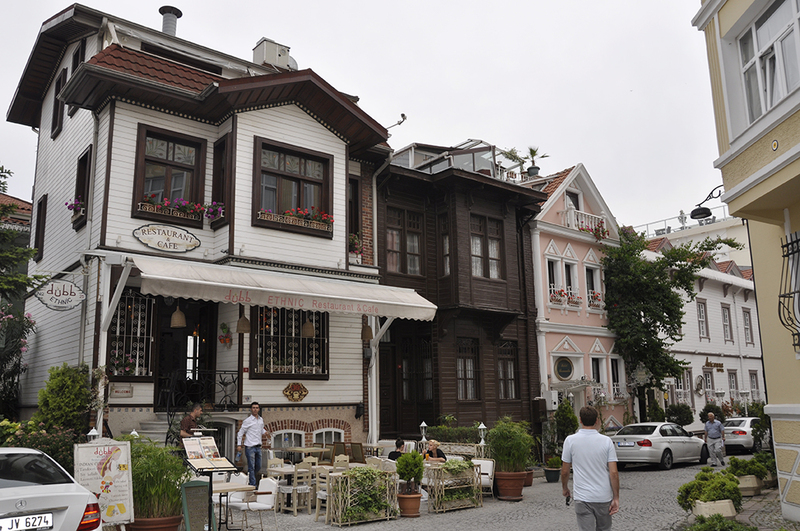 We had three nights there, and while an extra day or two would have definitely made things more comfortable, you can take in much of Istanbul in the time that we had. 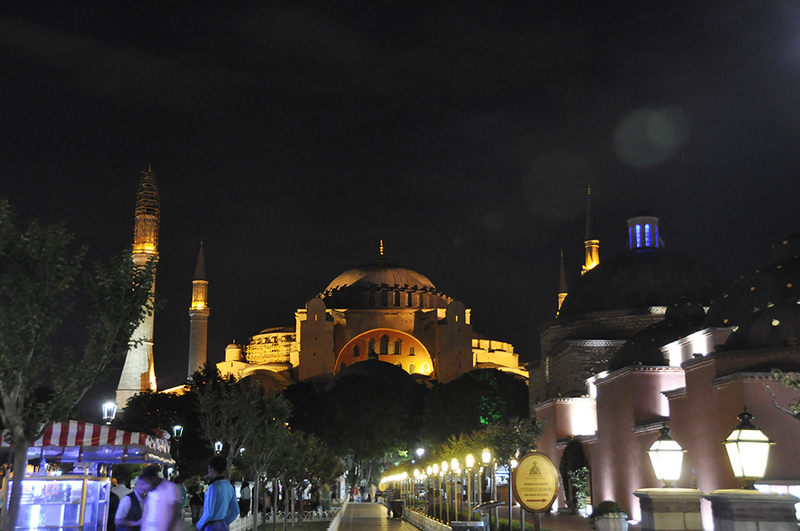 After landing early in the evening, we made it pretty quickly to our first hotel, which was based in Sultanahmet and very near to the Hagia Sophia and the Blue Mosque. It was nothing to write ome about. Hotel pickin’s were slim because it was a holiday weekend, and even low quality hotels in that area (location, location, location) were getting away with charging hundreds of dollars per night. First things first that evening – eat. I had so been looking forward to digging into some Turkish food and I wasn’t going to let anything – even the incredible history of the surrounding area – get in the way of that. I had actually done some research and made a reservation for dinner (with outdoor seating) well in advance, so that we could basically go directly from the airport for dinner. Welp, showed up at the restaurant about 3 minutes late (not too bad considering our flight departed 1 hour late) and I think I watched them give away my reserved outdoor table to a family group. They offered me a table inside, but with weather so nice I wasn’t having it and grumbled away to another nearby restaurant that looked tasty. Kebabs (kebaps, whatever) were amazing. The meat was wonderfully seasoned, and I loved how they were served with roasted hot peppers. I was loving the servings of roasted hot peppers with every meal, until I eventually had lunch at one place where they did not remove the seeds from the peppers and I took a massive bite and it was not the most pleasant of surprises. After walking off the plates of meat and roasted vegetables around Sultanahmet’s amazing sights, it was off to bed to prepare for the inevitably long day ahead. As usual, up early (before the call to prayer!). Not that being a time zone behind my usual time zone helped. Unfortunately, up so early that the sites weren’t even open yet. 9:00am? 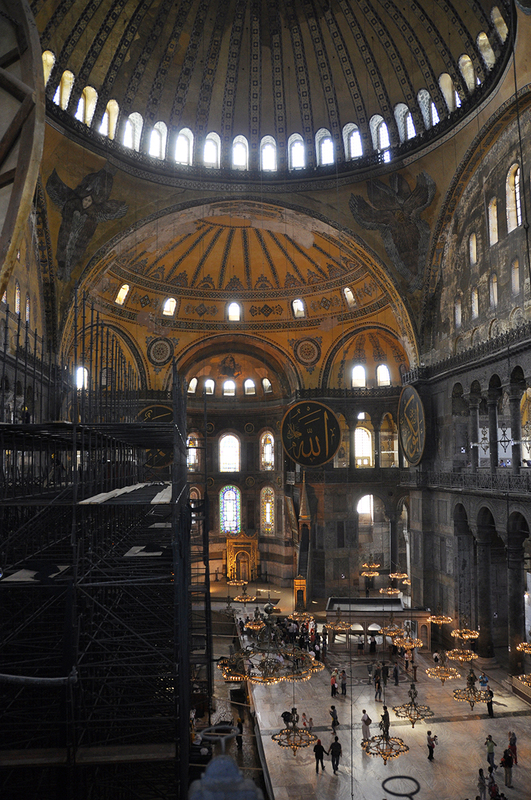 Seriously, Hagia Sophia, you’re hugely famous, you can’t open up a bit earlier than that? Anyway, after a typical Turkish breakfast of cheeses, vegetables and bread (not really my thing, I like my breakfasts much more substantial and bacony) we headed off to the Hagia Sophia. 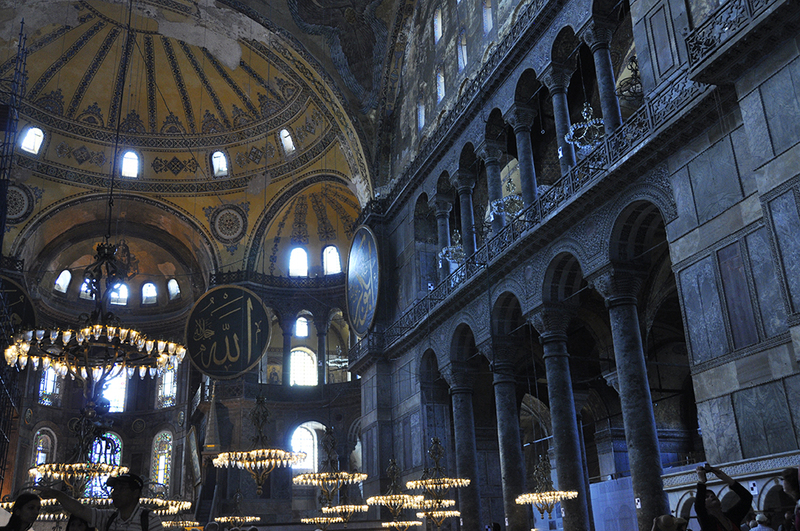 The Hagia Sophia has a bit of an identity problem, being first a church, then a mosque and currently a museum. To be fair though, if you were going on 1,500 years old, I bet you’d have a few identity swaps along the way, too. In my opinion, this only added to the richness of a building that still would have be extraordinary had it simply stayed a church. The fact that it’s still standing and in pretty good shape is an impressive thing to think about in itself. Sadly, a portion of the interior was covered in scaffolding (and apparently has been for years and years) but most of the interior was still viewable and accessible, so it wasn’t a very great loss. We also had a full view of the great dome, which the boyfriend said was halfway covered last time he had visited, so that was definitely a plus. Everything inside is absurdly gorgeous and you hardly know what to look at or take a photograph of next. 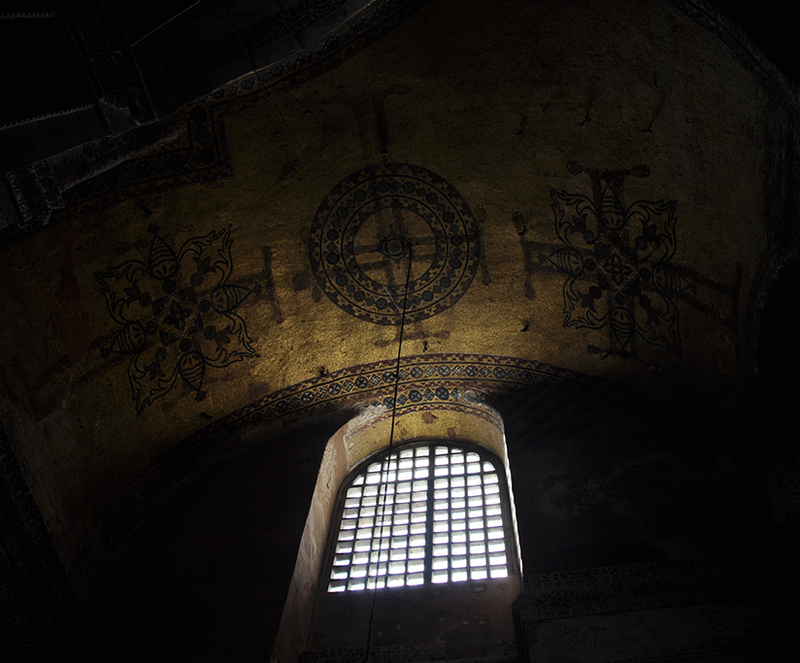 As a fan of Byzantine art, it was really exciting to check out this building and view the mosaics within. 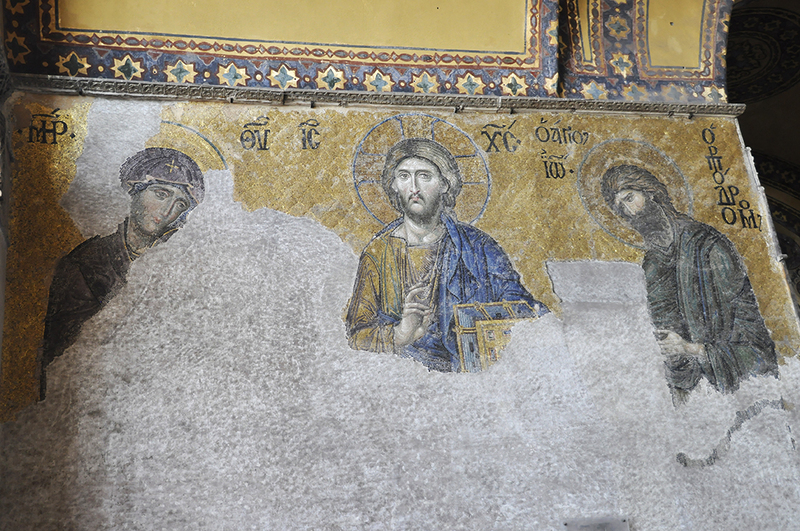 When converted to a mosque in the 1400s, the Christian mosaics and frescos were painted or plastered over, but when becoming a museum in the 1930’s the Christian aspects were restored alongside the Islamic. It’s quite interesting to walk through the structure and see Christian and Islamic art side by side, and sometimes on top of each other in cases where frescos had been painted over with Islamic designs. 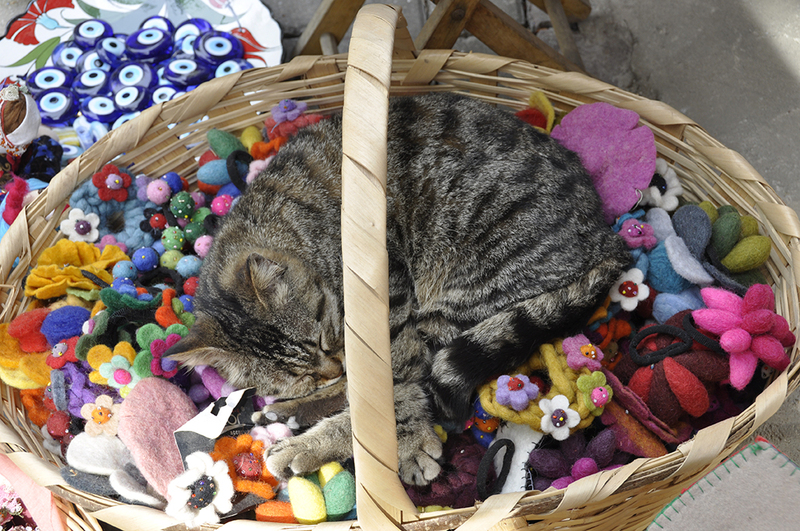 There were also a few cats hanging out here (so many cats in Istanbul, generally), completely unappreciative of the historical value of what was around them. One cat was even using the Hagia Sophia’s wooden doors as its personal scratching post. It was loving it. I probably shouldn’t have found it funny or cute, but I definitely did. Most expensive scratching post ever? Quite possibly. 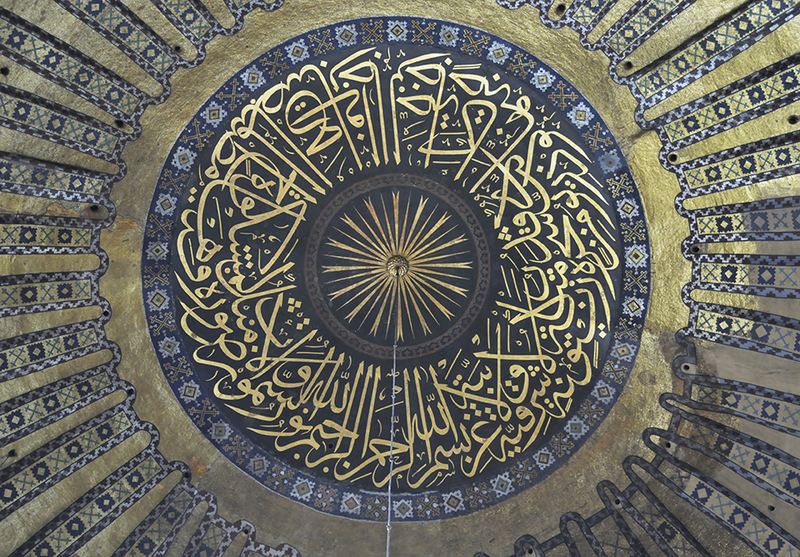 Next stop: Topkapi Palace. It’s kind of mind boggling to think that for about 400 years people lived in this thing. It housed sultans from the 1400s through the 1800s and as you walk through the various courtyards and buildings, all of which are stunning, it just seems unreal to consider. As if the palace itself weren’t enough, then you take a stroll through the Imperial Treasury, where there are literally, literally, chests full of emeralds. Oh and fabergé this and that and golden and gem-encrusted thrones. You know. Stuff. 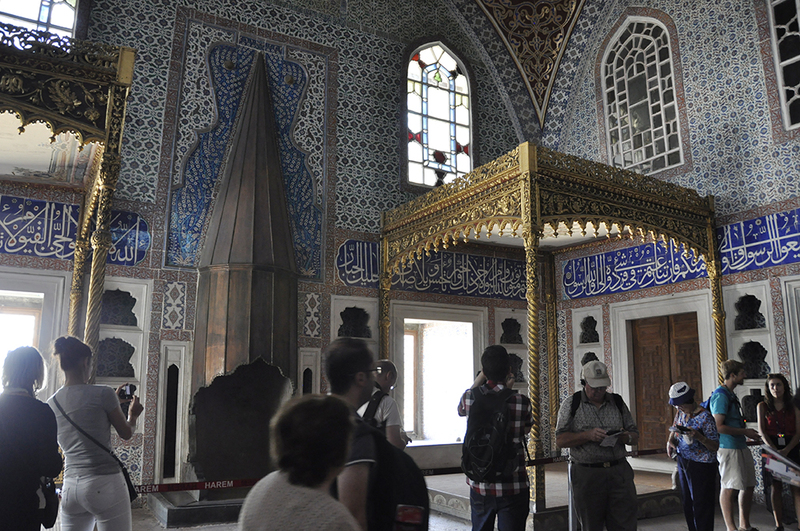 Oh and apparently some dagger (emerald-encrusted, natch) that was part of a movie called Topkapi that I never saw (or had even heard of) so I wasn’t hugely enthralled when I saw it, but a lot of other tourists clearly were. 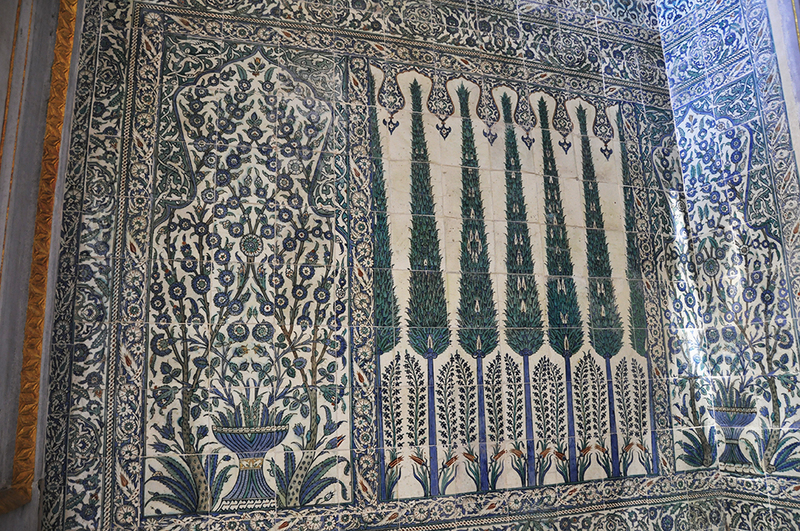 I think my favorite thing about the palace were all of the blue, white and green Iznik tiles everywhere. They were beautiful and at every turn. It took quite a while to make our way through the grounds and by the time we left it was most certainly lunch time. Time for more meat and more yoghurt and more meat. From a rooftop, this time, for a change of scenery. 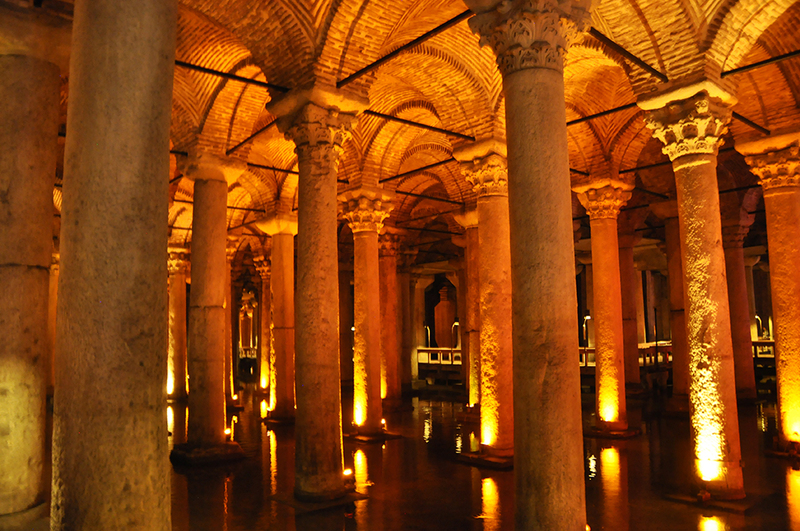 We debated between hitting either the Blue Mosque or the Cisterns next and given that it was mid-day we thought it’d be nice to head underground to see the Basilica Cistern. There’s not a great deal to say about it. It’s a huge, really old cistern filled with hundreds of Corinthian and Ionian marble columns. And it’s pretty creepy-cool inside (great spot for a party, seriously). 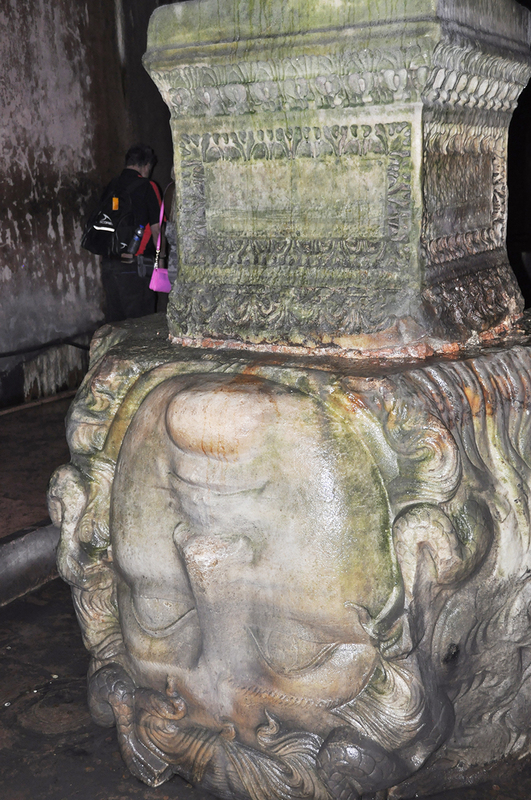 There are two columns towards the back with Medusa heads placed at the base – one upside down and one sideways (presumably to negate the effects of her gaze). The place is wonderfully lit in subdued reds and I thought made for some excellent picture-taking. 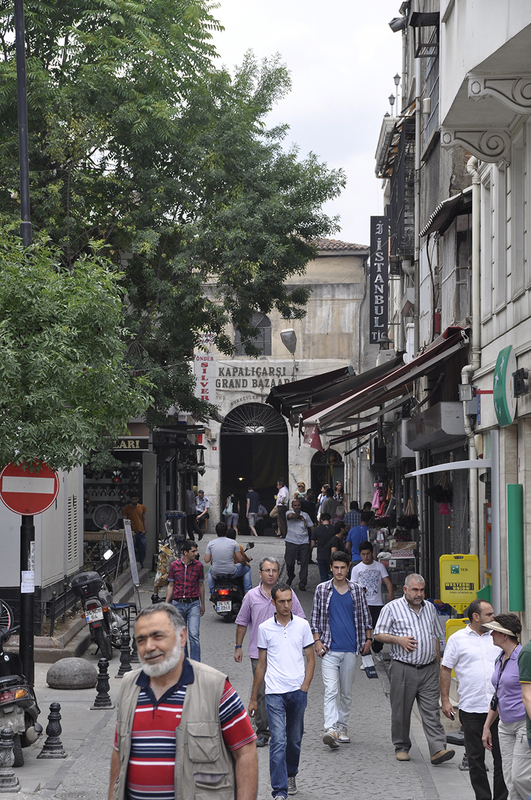 The day wasn’t finished yet and we next made our way over to the Grand Bazaar. Undeniably huge it was, but it was much less active than I expected it to be. I was prepping for non-stop hassling from shopkeepers and mobs of people inside, but it wasn’t hugely busy and I didn’t feel nearly as hassled as I do in Dubai’s souks. I think the products weren’t what I was expecting either. In my mind, it was going to be much more traditional, and while yes there were plenty of rugs, gold jewelry and spices, there was just as much stuff like fake handbags and…more fake hanbags. I didn’t spend much time here. We soon left for another bazaar – the spice bazaar. 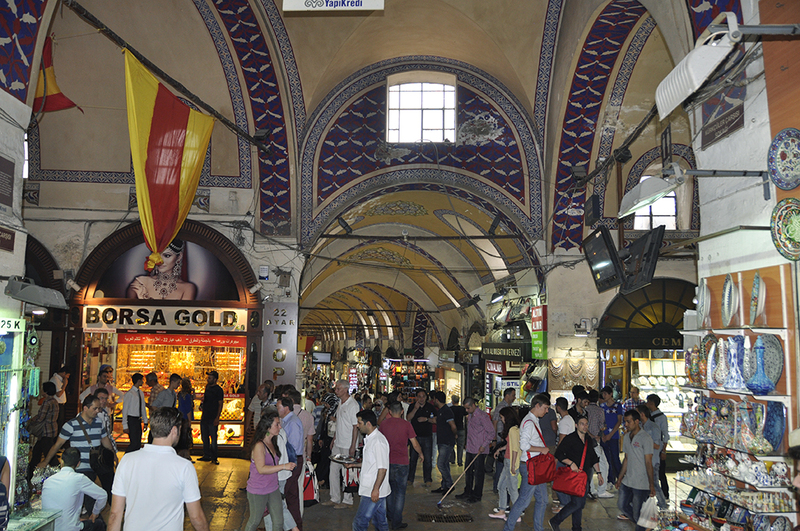 Which wasn’t that dissimilar from the Grand Bazaar except it was smaller and had more spice shops. But still also fake handbag shops. We finally decided to call it a day as far as sight-seeing goes at this point. It was time for a refreshing drink. So after much more walking we eventually made our way to a street lined with cafes (can’t recall the name, but it was nearish the Four Seasons) and finally let our feet relax. For dinner, we tried a restaurant called Palatium which was amazing, and I had the most delicious lamb kepab dish there. I would highly recommend visiting this place for a bite. Another early morning, walking around and finding an OK breakfast before heading over to the Blue Mosque. 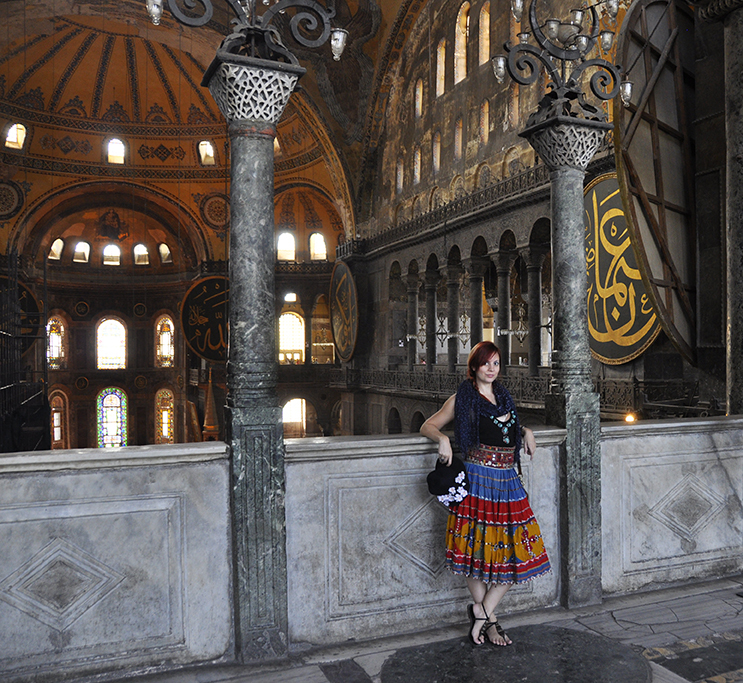 Unlike the other sites we had visited, the Blue Mosque is free to enter, but you do have to be dressed appropriately. I even went back to the hotel to change into something with more skin coverage, but once getting to the mosque, they provide you with cover ups anyway, so…I guess what I’m trying to say is don’t go out of your way to be all covered up for the mosque as they’re probably going to toss uniform-esque robes and scarfs at you anyway. 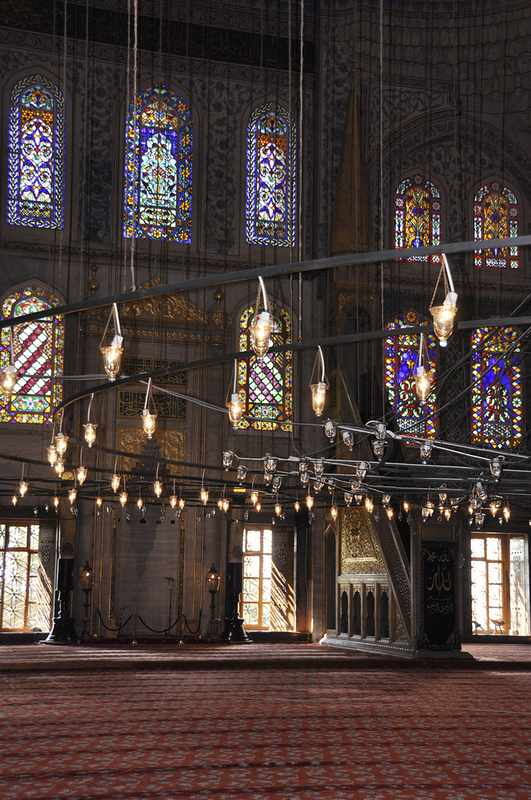 The mosque is beautiful, there’s no doubt about it, but I wasn’t as awe-struck by it as I thought I would be. Maybe I was expecting something more Hagia Sophia like, or more like the Sheikh Zayed Grand Mosque (in Abu Dhabi). I don’t know really. 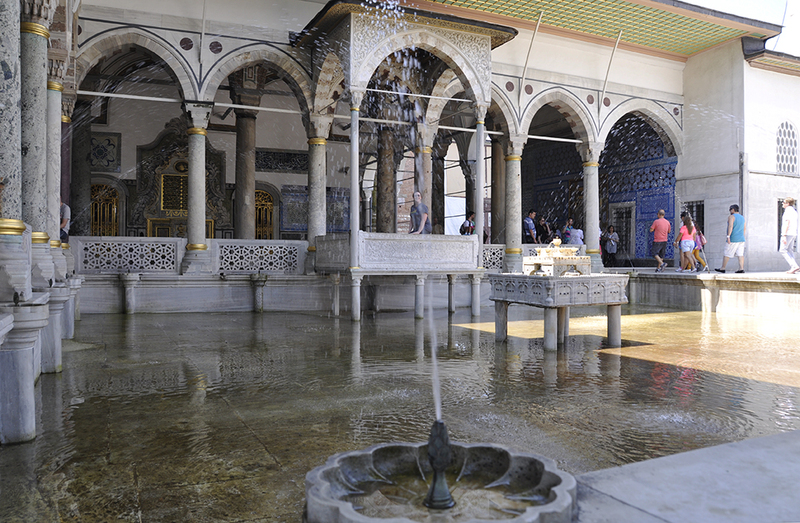 And I don’t want to be all blasé about it, because it is truly gorgeous (more of those Iznik tiles everywhere! ), but it’s an in-and-out job. There’s not much in the way of exploring to be done. And that was it for Sultanahmet. 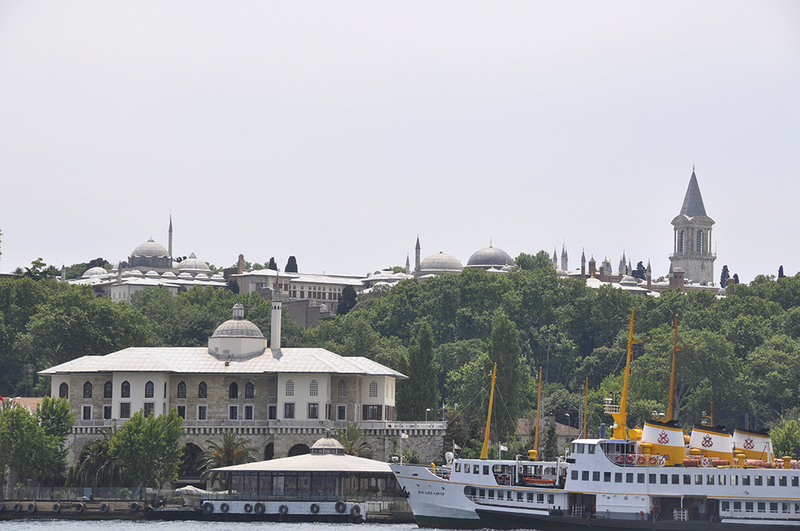 Next we were off to Beyoglu and some nice, but kind of excruciating and tedious, ferry rides around the Bosphorus. Hm. 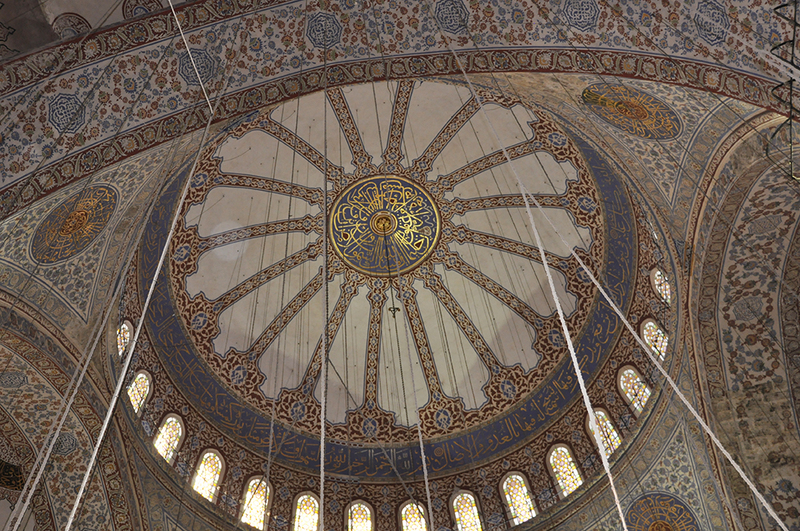 I was going to put my whole Istanbul post into one, but I now see that I have not written a very small amount. Beyoglu to come later.